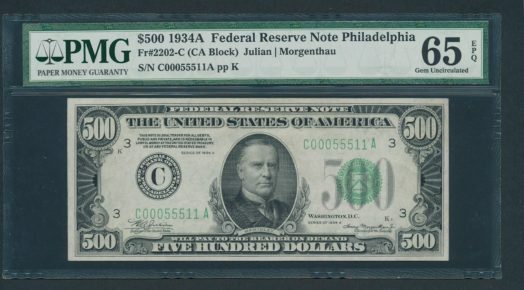 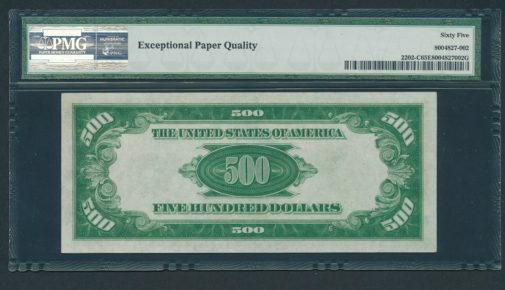 This GEM Philly $500 is stellar in every sense. Embossing is bold and the bright white paper is reminiscent of the 1934 (plain) Series. Corners are razor sharp and the note well inked and free of smudging.